Growing a new life takes time, energy, and commitment to working with a variety of transformational modalities and techniques. I have built a career in life transformation that spans over a decade of teaching, writing, and coaching my students and clients. 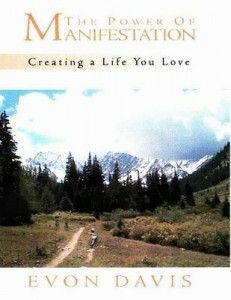 It all started with my book The Power of Manifestation, published in January 2006. The subjects of manifestation, life transformation, shadow work, empowerment, and spiritual evolution continue to engage me, and I hope that the knowledge and personal experiences I share with you will lead to a deeper relationship with your own authentic and empowered self. For today, Tuesday, February 28, 2017, the major aspect is the Moon conjunct Venus in Aries. Moon conjunct Venus is generally considered a favorable alignment, however, we’ve had some challenging alignments recently with an on-going T-square involving Uranus, Pluto, and Jupiter. We’ve seen this manifesting in the difficult political climate since the election, and you may see it manifesting in your personal relationships as well. Adding Mars, the warrior-god, to the mix hasn’t helped, so it’s possible that the Moon conjunct Venus could help soothe troubled waters. From an NVC perspective, the most important things to consider in any given situation are our feelings and needs. Today I pulled two sets of grok cards. One set indicates needs met, the other needs unmet. If the recent Mars injection to the T-square led to a situation where you were triggered and spoke violently, then today you may be feeling ashamed and regretful. Consider what needs were unmet that may have triggered your violent response. Often what we’re needing when we’re triggered is acknowledgement. I am delighted to be part of an introductory foundations class in Compassionate Communication, also known as Nonviolent Communication, ideal for people new to compassionate communication (NVC) workshops, and great for practitioners who want to deepen their existing NVC skills and consciousness. We invite you to join us as we explore this powerful communication technique. * The power of empathy. (kinesthetic) activities and there will be time practice applying the techniques to real-life situations. Here is a list of some of the main skills involved in Compassionate Communication. 5) Giving Reflection and Empathy to another person before responding to them.